On last Tuesday, Apple made an announcement of the launch of its highly-anticipated 10th-anniversary edition iPhone – iPhone X in a keynote event. Apple’s latest offering, the iPhone X received a lot of spectacular attention as soon as the company announced its release. What makes iPhone X inimitable is the addition of a bunch of standout features which had not been made a part of in any of the previous iPhones. With the inclusion of an OLED screen, Face ID, and Animoji, iPhone X makes a lavish entry in the mobile industry, becoming the most expensive smartphone till date. One cool feature that seems to have caught a lot of people’s attention since iPhone X unleashed is the Animoji – an emoji using facial-recognition technology to create live emojis for the users to play around with. It’s basically an animated version of emoticons. Since iPhone X has been equipped with facial-recognition technology, the mechanism of Animoji is quite understandable as it also makes use of the same technology. The concept of Animoji has been taken to a whole new level as emoji will mimic your facial expression and use your voice. As of now, Apple has added 12 emojis for you to choose from. All you need to do is pick any of the emojis you prefer and say whatever message you want to convey to your loved ones. As you will pick an emoji and start recording a message, you will notice that the emoji will be exactly mimicking your facial expression. Consider it just like a video feature where you can send live videos of your face to your friends. In this feature, your face will be replaced with the Animoji you’ve selected but all the facial expressions will remain the same. 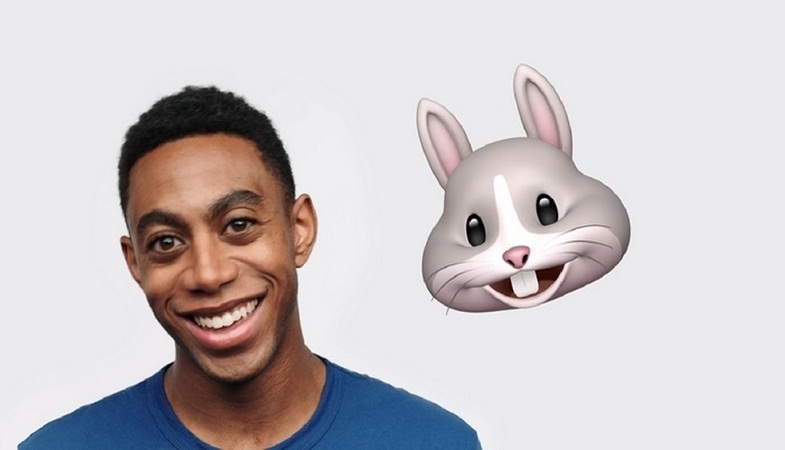 With this feature, you can text your friends by just sending one of your favorite emojis with the right expression. The Animoji feature is only available in your iMessage app drawer. Keep in mind this feature is only added in the iPhone X and not in iPhone 8 and iPhone 8 Plus models as they do not support built-in facial recognition technology. Select Emoji app on your iMessage window by tapping the Emoji just near to the App Store icon on the App Drawer. Record your message and then send in a message with uber cool sound and screen effects just like you have been recording and sending messages in the past. On opening the Animoji pane, you will come across 12 different emojis. Select your favorite one and then go ahead with sending the message. Is Your iPhone Susceptible to Getting Remotely Hacked? she’s a veteran in the field of tech writing. She has written multiple opinion pieces, reviews, news, and guides that have helped out the audience. And now she graces our website with her expertise. Abigail Clark hails from the U.S. and has been working in the industry for a long time. She has worked for multiple blogs and wrote about multiple topics. She has strong understanding of technology, and now She’s focusing on writing guides, news, and reviews for us. Abigail Clark and her passion for technology can be witnessed quite clearly in her work. We are lucky to have such knowledgeable personality in our midst.